If you don’t know what a budget looks like, just understand that there is a part to it that has you putting away a certain percentage of your income for your children’s college education. However, there are two things wrong with this. The first is that budgets are usually only used by middle aged people and older. In reality, they can be started as young as however old you are when you first make money from work you did (excluding chores). The second factor that goes along with the first is that it would be best to first save a certain percentage of income during your youth to pay for your college career. If that is done, then it is guaranteed that by graduating college without any loans and debt that it will be a hundred times easier to save money for your own children so they can go to college. However, this has yet to become a trend in society. For the time being, you can always use the following ways to earn some extra money for college. Stock Photography: With the increase of websites and blogs, the need for professional, and sometimes even mediocre, photos are becoming a necessity and thus profitable. By taking photos of something as simple as a stack of books, you can upload them onto a website to sell to others. Seasonal Work: The great observation about seasonal work is that it can always be done on top of a current job. It is almost only a few hour task that you may do once or twice a week. Whether it is cleaning gutters or shoveling snow, tacking on the extra bit of work can make you enough to pay a small portion of college expenses. Selling: Prior to attending college, most teenagers have accumulated a lot of “stuff”. This “stuff” can be sold on eBay, Craigslist, or at a garage sale. However, selling does not need to stay with what you have left in your room. You can also create t-shirts, art, necklaces, and so much more to be sold. Realize what craft you specialize in and monetize it. Teaching: It is a bit ironic that you would make money teaching before you go to a place to learn, but there are hundreds of opportunities to tutor and teach younger children the basics in math or science. There is also an opportunity to tutor in language. This of course would be the greatest benefit to someone who is already bilingual. Working More: When it comes down to it, the only way you will make more money for college is if you work more. The trick to it though is to try and find work that pays based off of effort, not your time. This can range from doing lawn work and painting a house for a neighbor to becoming a salesman for a year before entering college. Whether it is getting odd jobs, getting a second or third job, or finding a career before graduating college, the best way to make money for college is to work for it. 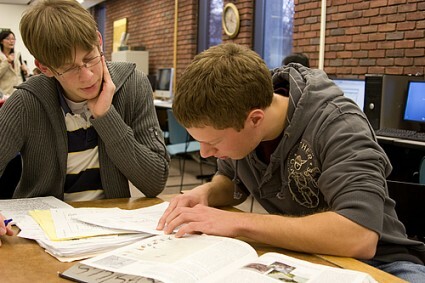 These are basic but tested ways to earn money for college. Do you have other methods that work or have worked for you to share? Please leave us a comment with them. Actually there are lot of ways.You can work from home as a call center agents with flexible schedule,Work on freelancer sites,Post gigs on sites like fiverr or amazon Turk.Some people make decent living out of them. I think the question is not about earning money only but it helps to build and increase the creativity of the students. During student life earning is not a rare occurrence but with earning by creating some brilliant ideas is the focused point. Good luck for the students. Working as a nanny for infants, toddlers or older children will bring in money easily if one is inclined to work on an hourly basis. You could schedule the clients’ on a regular basis too if there are a number of them, only if you are working during summer or other vacation times. It is now easy to make money using internet and most common way to make instant income is through Blogging which is also a good marketing strategy. Blogging sure isn’t a way to make instant income. It takes months before you can even make a few dollars a day by blogging, unless you get really lucky with your marketing. I believe young people today tend to know a lot of things. Doing freelance work is good, since most of these jobs are part time or contractual. Do some writing, transcriptions, even data entry jobs. If you can design websites, you could earn a lot in that too. I think Blogging is best and easiest way to earn the money from home, it takes some time to start earning but once its start then no need to worry about any think. Another popular approach today is publishing Kindle books. This could be an especially good option for students who are in a major related to communication, journalism, or some other writing program. The cost to enter is minimal, and with some self promotion, some people do very well. This is a great article for the readers of my site. And when I my next blog post on how to pay for College I’ll make sure to mention this article! All the college students are always in need of money, especially now when the economy all over the world is going downhill fast. There a lot of ways how to earn money but what you really need is the attitude, dedication and skills to make it happen. There are so many ways to earn money easily. The keys that can do the trick is perseverance and initiative (thus, it releases the creativity and other stuff). Somehow, we just need to get out of the box and do stuff for our children’s future. Facebook:-With more than 900 million users there are now a lot of ways to earn money from facebook. Facebook pages, Get paid to socialize, applications like crowd source ,affiliate marketing and traffic gaining are some of genuine ways which are so promising. Amazon Mechanical Turk:-Its becoming old but with alternatives ,it will be more attractive and competitive. Similarly Get paid by watching Tv, Loosing weight are some of other ways. There are more applications like Viggle coming. Especially locally many earning money companies are coming in Uk and Europe even. Which are still un tapped .Hope so they will make the world more better and prosperous and keep on helping people in such a financial crises faced by the world. Great tips discussed, earning while studying gives confidence as well as motivation for future jobs. They help one to build their self and make them adjustable as per the job. Crowd sourcing sites like mturk and fiverr are a great deal especially for me. Even people with half brain are excelling. How? Mostly people make some (like 20 or 50 etc) videos convincing enough and then upload them to youtube. Now as you know youtube is always crowded of people, we can get plenty of clients, all on autopilot, for long period. Apart from that,CPA (cost per action) has worked very well for me. For example, CJ, Max bounty etc have offers where people only have to fill a short form about any product and you get money for that. Great advice, the only thing that I think I have to say is that, for some, a budget is hard, but it does pay off, so it really just takes the little extra effort to get those things done. Writing Articles/Assignments for other students. But I also like your ideas much. Great article. I agree with the article completely. I mean besides you going to learn in college everyone has a skill or a talent that can earn you money without being taught how to use it. I think one should evaluate themselves and see what they are good at because it may earn you money for your college. I was also searching for the easy ways to earn money for college and university. You have brought up some amazing information about the learning with earning. Actually its a difficult task but necessary for a class of students.